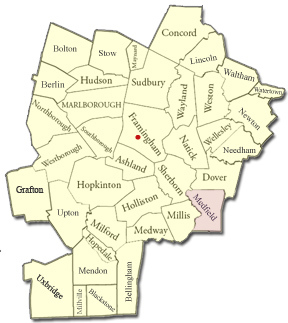 MetroWest Oil Service offices are located approximately 10 miles from Medfield, MA. Our heating oil delivery trucks and service vans are in your neighborhood. Our delivery drivers and technicians are just a phone call away to provide 24-hour emergency service. Copyright ©2018 MetroWest Oil Service, all rights reserved.